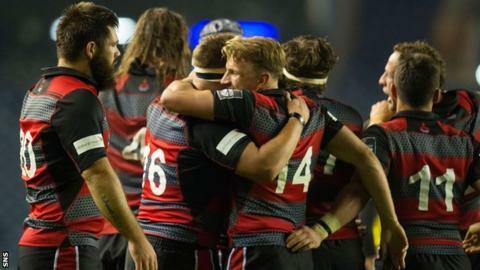 Edinburgh head coach Alan Solomons believes the competition in his squad this season will make Scotland stronger in the long term. Connacht host Edinburgh in Saturday's Pro12 meeting. "There is competition to try to make the team for the Six Nations," said Solomons. "There is strong competition for that as Glasgow have some strong players and if our guys want to play for Scotland we have to perform." Solomons feels the involvement of Glasgow Warriors' players in the Scotland squad has benefitted Gregor Townsend's side "enormously". "So many of their players have been exposed to international rugby," the head coach told BBC Scotland. 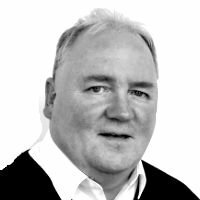 "If we can provide players for Scotland, it is a total win-win for both the club and the national team." With the Edinburgh players who performed for the Scots at the World Cup due to return to the squad next week there is another chance for others to shine in Galway. And Solomons expects the result and performance to give him an indication of the talent he has at his disposal. "We are playing a team at full strength and we have nine front-line players out - that's massive," said Solomons. "Along with injuries and the World Cup players, we have 14 guys out so this will tell us the depth of our squad. "There's a good, competitive element in the squad and next week we get the return of a number of players and that heightens the competition and sharpens the players. "When everybody's back, we have some real competition going on." Edinburgh lost for the first time this season when they visited Zebre in Parma on Saturday and Solomons admitted his side's performance was "below par". "We gave away too much ball and too many penalties and paid the price for that," he added. "You're always going to have a little bit of a dip after a performance like [the 16-10 win] against Ulster, which was like a mini-peak. "We've got a tougher fixture now. I know from my time in Ulster and my time here they are never easy games in Galway. They've got continuity because, apart from Rob Henshaw, they may have one other guy at the World Cup and they're both back. "But we've put together a good team and the only way we can put right last weekend is by a good performance."